In the previous entries of this series of posts I have tied to dazzle you with examples of the awesome content provided at UserBase. Today I have to confess: Not all is well. There are some glaring omissions. It would take a very long post to list all the things that you really should be able to find on UserBase. Instead I’ll focus on just one area: Calligra. If you follow the link, you’ll se a page linking to pages for each application in the Calligra suite, so we have the basic presentations, but nothing much else. Wouldn’t it be nice to have a growing collection of tutorials or tips-and-tricks pages for the Calligra apps? But who would write them? Coders are busy coding, testers are testing till the cows come home and documenters are sweating over the manuals (more about which in a later post). Someone else will have to step up to the plate. You may remember from a previous post how the digiKam tutorials are lifted from the blogs of Dmitri Popov and Mohamed Malik (with permission, of course). So you see, you don’t even have to learn wiki markup to contribute. Just fire up your blog and get posting – and then get in touch. You are of course very welcome to write directly on UserBase if you prefer. 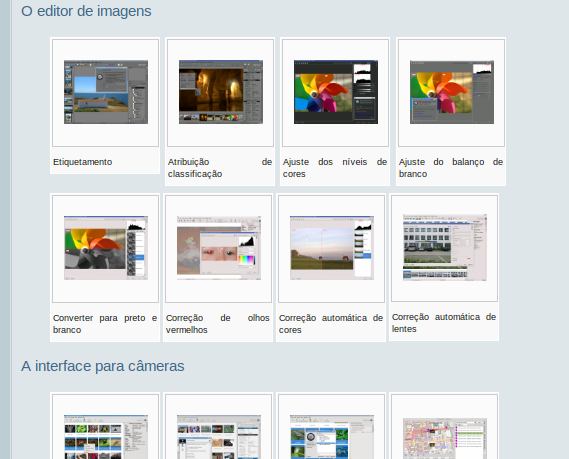 One lesson not to take home from the digiKam tutorials is the sophistication of those blogs. They are written by advanced users, and we are very grateful for their contributions; just don’t get the impression that you have to go to the same level of depth to contribute something valuable. A simple tutorial on how to use one of the many tools provided by the Calligra apps would be a godsend for many new users. In fact, any user of an application can contribute something valuable to the community by blogging about how they use the application. So don’t hesitate: Share your knowledge! Calligra users, I’m looking at you. The best supported languages on UserBase. Size indicates number of translated pages. As you can see, our translation effort is doing quite well, but there is certainly room for improvement. So if you want your language to have a more prominent position in the list or just want to help out then get in touch, get an account and get translating! This brings me to my (no longer) hidden agenda: Language teams. We are always trying to find ways to make working on UserBase as pleasant and productive as possible. To this end we would very much like translators to organize in teams. This involves finding one translator for each language to act as team coordinator. The main task of the team coordinator is to be a point of contact. Through the teams we hope to involve translators more in the development of UserBase. We have great plans for the future, but to make them come true we need input from translators. The team could also maintain a page with language specific tools and guidelines to make the translation work easier and to improve the overall quality of translations. And most important of all, having a team can ease the way into UserBase for new translators. To edit UserBase you need to be logged in. You can use your KDE Identity or any OpenID account, for example a Google account. You can also get a UserBase account, if you prefer. To translate you need further rights, so after logging in go to this page and add your name. Giving you translator rights requires manual intervention from an administrator, so be patient. Ordinarily you don’t have to wait long, though. If you have a translators account and want to help create a language team for your language, just add a comment on your personal page on UserBase, or leave a comment to this blog or visit us on IRC. This is the first in what is going to be a series of blogs about UserBase and what it can be to your favourite project. 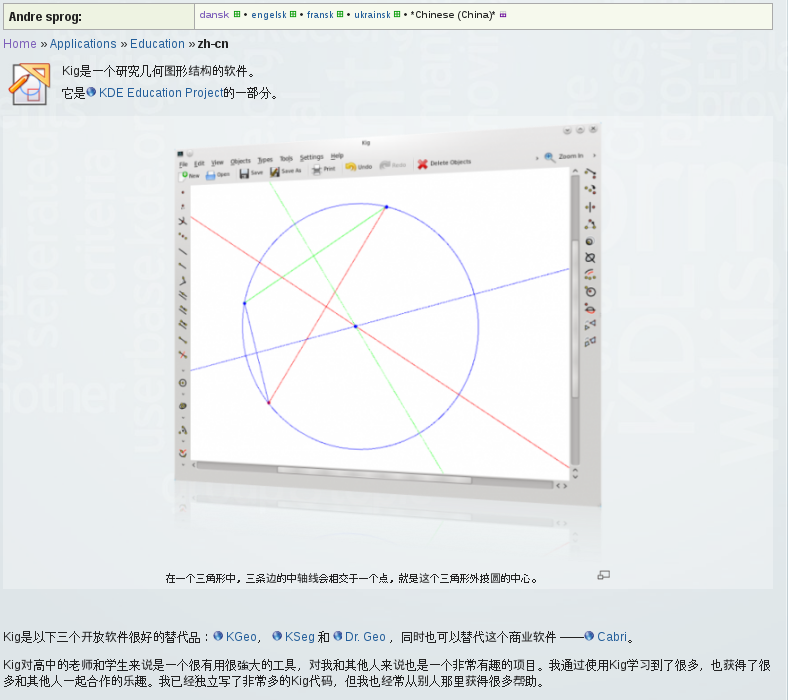 UserBase is a community wiki aiming to provide useful information to users of KDE software. We have pages about individual applications, introductions to various aspects of the desktop, guides to solving tricky hardware problems, and even entire handbooks. And all this content is being translated into many languages. A picture speaks louder that a thousand words, they say. The author of the digiKam page has taken those words to heart, and presents the application in a thematically ordered series of screenshots. Part of digiKams UserBase page. The Brazilian translation is shown. Sometimes, however, words are needed to explain things in detail. Fortunately a number of bloggers have provided a wealth of information and allowed us to add all this content to UserBase. As a consequence these excellent texts are now being translated into many languages. Part of a tutorial (from Mohamed Maliks blog). The Ukrainian translation is shown. The take home lesson is, you don’t have to write a lot of new material in order to show your users some love. Just point us to relevant material, and we will add it to UserBase, format it appropriately, perhaps add a screenshot, and mark it up for translation. Then wait, and before you know it translations will begin to appear. As developers work tirelessly on new features in existing applications, new applications, and even on entirely new kinds of workspaces user documentation sadly lags behind. This is one of the fields where non-developers can make valuable contributions. It used to be difficult, but no more. Now you can develop a handbook for your favorite application in a nice and accessible wiki. You don’t need to learn Docbook markup, or to master arcane tools to manage the document. You just write your handbook, and when done it will be automatically converted to a proper handbook, ready to be part of the next software release. Head over to UserBase and get an account. Even though wiki markup is basically quite simple there are some guidelines that should be followed. Don’t worry – you’ll learn as you go along. Don’t be afraid to experiment. The preview function is your friend; use it often. If you accidentally save something and then regret it, you can always revert to a previous version. If you have questions all you need to do is to go to the Talk page associated with your page, and start a new discussion; or you can visit our IRC channel #kde-www. You could also have a look at the new Amarok handbook which is being developed as I write. So what are you waiting for. Share your knowledge! See you on UserBase. Safely returned from Essen, I guess it is time I posted about the WebWorld sprint. I’ll focus on the UserBase stuff. If you visit UserBase, you’ll immediately notice our new elegant logo (thanks to Hans (mogger) for the idea and to Eugene (it-s) for the artwork), and the addition of help items to the sidebar. Besides the sidebar, Matthias (pipesmoker) also made a lot of tweaks to formatting. We no longer have the sudden break in background color below the sidebar; it has been replaced by a nice transition. And the <tt> and <code> tags have been made useful for us. He also improved the nested lists. We added something about this in the help pages. It is also now possible to remove a language, when someone has begun translating and then left without really doing anything. Special:myLanguage links now show up red, when the page does not exist. We now have translation memory for online translation. When Anne (annew), Hans and I were not busy putting others to work or otherwise pestering them we found time to do a lot of cleanup . For example we have removed a lot of dead pages and redirects, that are no longer needed. We spent quite some time cleaning up the help pages, adding new content, removing obsolete things and moving some things to new places. Among other things we added a bit about the format of dates that should make them completely unambiguous. We also made a new template for putting UI icons in text and described it in the help files. We had discussions about how to attract more contributions. Hans had some interesting ideas involving the forums. They are not implemented yet, but could potentially be a great way to attract new writers. And Tom (toma) had ideas about making a link between KHelpCenter and UserBase, that would allow users to add tips at the click of a mouse. We also had discussions of a complete redesign of the front page to make it more welcoming to contributors and easier to navigate for newcomers. This is something that probably will not happen until the new design for kde.org is in place. We also talked about DockBook. Some projects wants to add their old manual to UserBase and use it as a base for a new manual written in UserBase. It is painful to do by hand, so some kind of automated solution should be found. We can already transfer documents the other way as well as to pdf – even letting users pick and choose which parts they want to include. The most controversial issue came up at the very end. Tom and Ingo (neverendingo) advocated a much more open approach to translations – wikis are after all based on trusting the wisdom of the crowd. Anne and I were not quite convinced. In theory we agree, but for many languages we are dealing with crowds of one. We might end up moving towards more openness but not before consulting the other translators. So, five days well spent and in good company, too! The end to 404… on Your language needs you! clauschr on Your language needs you!